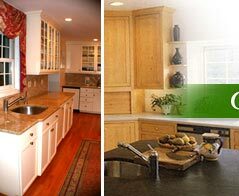 Dee David & Co. LLC, (VA) - Contact Us with Kitchen and Bath Design and Remodeling Questions, Comments and Requests, Fall Church, Virginia. Shouldn’t your kitchen be easy to use, easy to clean, and fun to be in? With Dee David & Co. LLC of Lottsburg, Virginia, it can be. Contact us today to schedule and appointment or learn more about our services. To provide the best service, we operate by appointment only. Phone to schedule an appointment with a design professional.